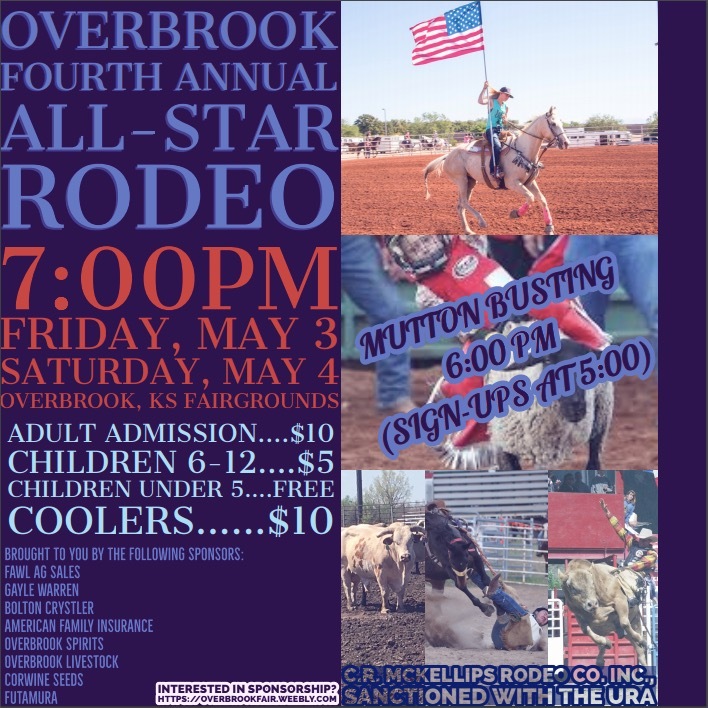 No matter what the season, there is always something going on in the City of Overbrook, Kansas. Keeping our residents informed of scheduled events and local happenings is important. 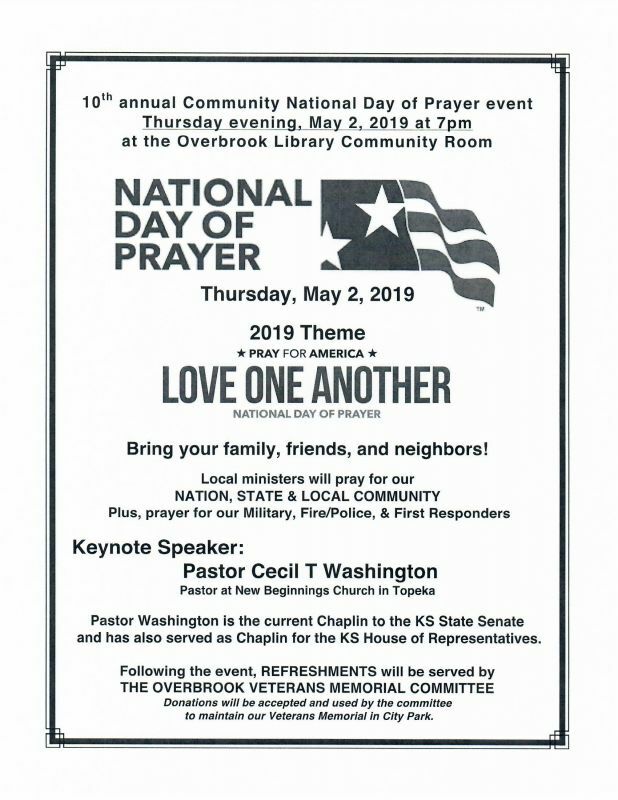 Make sure to check out our Calendar, or the upcoming events below to know what's going on around Overbrook! In the Santa Fe Trail school district, we are working on implementing the Leader in Me. One of the aspects of this program is getting involved with the community and having them involved with us. To help with that, we are looking for 8 - 10 volunteers to come help with landscaping of an area in front of Overbrook Attendance center on Saturday, April 20 from 9 - noon (or whenever we get done). We will be weeding, pulling up old black weed cover, pulling a few plants, and moving some large rocks. If you are able to do this, please email me at ajones@usd434.us. Then, to continue being green, you can go to the E-Waste drive at the high school (which starts at 10 am) to recycle your electronics! Thank you in advance! Click article for more information. Here is the donation form. 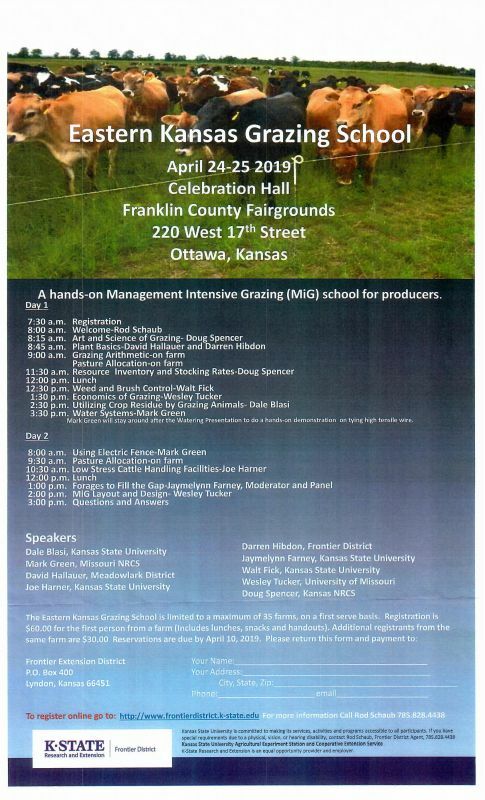 Click to see flyer. 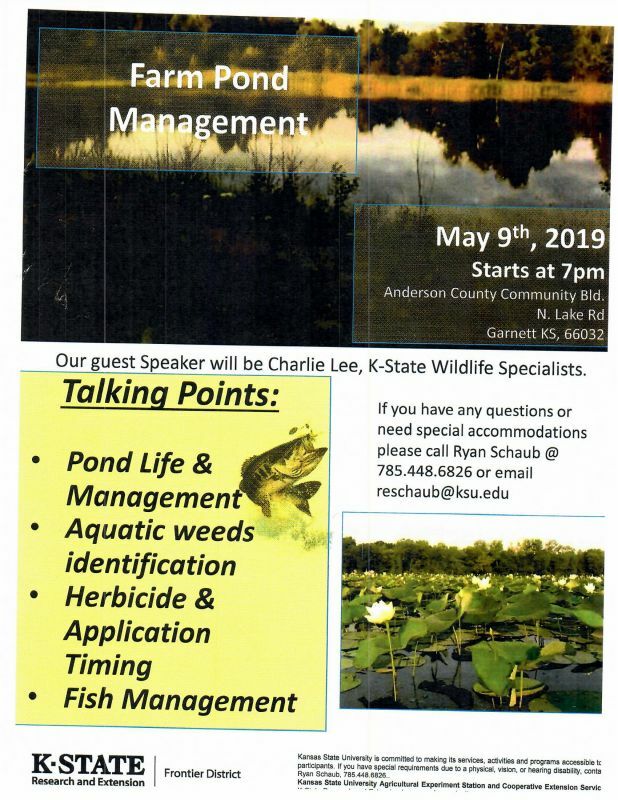 Talking Points: Pond Life & Management, Aquatic weeds identifcation, Herbicide & Application Timing, Fish Management. Garnett, KS. 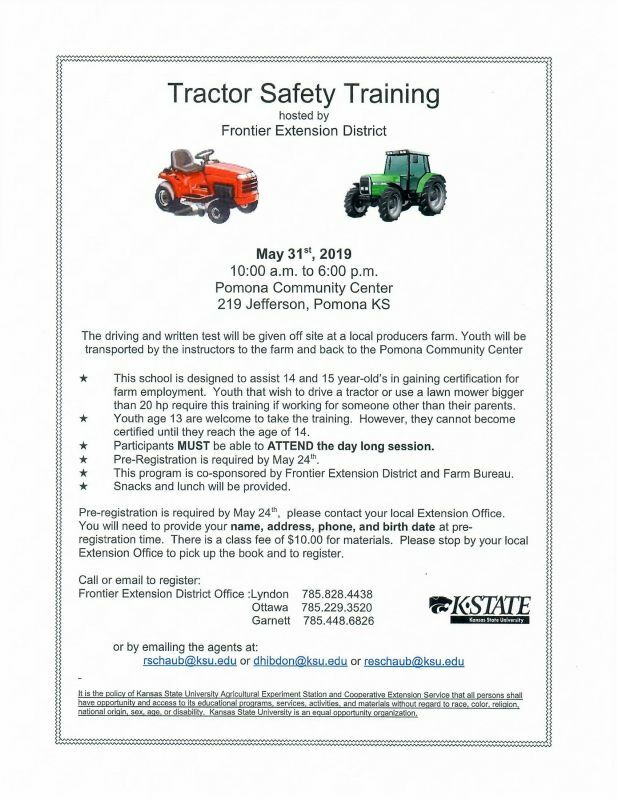 hosted by Frontier Extension District. Pomona Community Center. See flyer for more information.